Powerblend Hoodie made for her with elevated graphics and a modern, feminine fit. Designed for less shrinkage so the fit stays true. 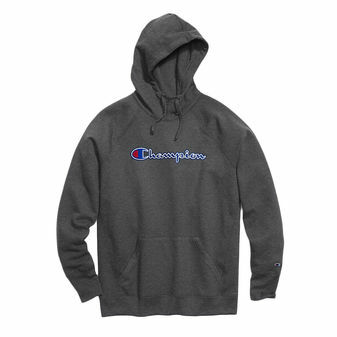 Polyester/cotton fleece resists pilling and feels soft against skin. Raglan sleeves let you move with ease. Exaggerated ribbed cuffs and low-profile bottom band for a feminine fit. Jersey-lined scuba hood with twill drawcord keeps you covered. Roomy kanga pocket. 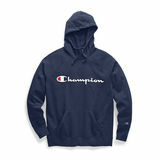 Felt Champion applique with chainstitch detail. C patch logo at cuff.